Much has been written about the School Nutrition Association’s controversial 2015 Position Paper, which calls for allowing school meal programs to continue serving less healthy food to students as a way to balance their budgets. Less has been said about what might be a better “ask” to make on March 3, when SNA members rally in Washington DC for their annual Charge to the Hill to lobby Congress for their platform. What do school meal programs really need to serve kids healthy food and still break even? The answer is simple – they need more money. The federal government gives school meal programs a set amount of money for every meal served; the payment varies based on the student’s family income. This payment, called a reimbursement, ranges from just over $3 for the lowest income students qualified for “free” lunch, to 36 cents for a higher income student, who is expected to pay the remainder of the lunch price himself. 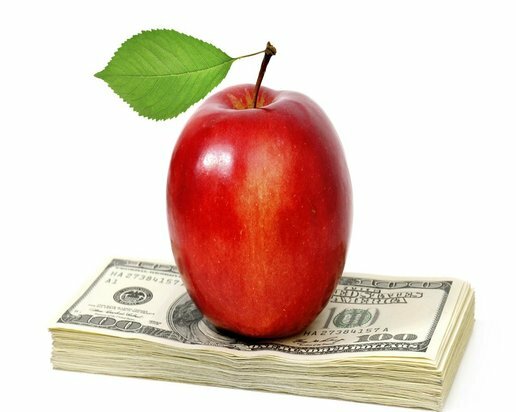 Federal regulations require school meal programs to cover their own costs, so when a program runs into debt, its school district has to bail it out with money from the general fund. It is well-known that poorly nourished children struggle to learn, but schools shouldn’t have to choose between paying for children’s nutritional needs, and paying for their academic needs. Without getting too much into the weeds of how school food service works, suffice it to say that $3 to cover the entire cost of putting a healthy meal on the table – not just the food, but all associated labor, plus overhead like delivery costs, pest control, cleaning supplies, utilities, processing of meal applications, and more – was not enough even before the new higher nutrition standards for school meals, part of the Healthy Hunger Free Kids Act of 2010, began taking effect in 2012. Now that schools are required not only to offer fruits and vegetables, but also ensure that students take at least one serving of produce, and to serve grains that are at least 51% whole grain (called “whole grain rich”), school meal programs that were already underfunded have become financially unsustainable in some communities. In response, the School Nutrition Association has made it part of their legislative agenda for the past two years to oppose the required fruit and vegetable and whole grain rich mandates, citing the increased cost. The solution, they say, is to allow refined grains to be served frequently, and let school meal program operators decide for themselves whether or not to require students to take fruit or vegetables. In addition to these proposals, the 2015 Position Paper also calls for freezing scheduled sodium reductions, allowing a broader range of food sold a la carte, easing the requirement to raise paid lunch prices in districts already running their meal program in the black, and a general call for program simplification. Oh yes – and a call for Congress to allocate an additional 35 cents per meal to cover the true cost of feeding kids healthy food. “Prior to implementation of any new legislation and regulations, Congress should provide full funding to cover all related costs identified through economic analysis,” says SNA. Underfunding has been the major problem for school meal programs for many years. SNA regularly surveys its members to try to determine the extent to which school meal programs experience financial hardship, and the organization has been aware that meal programs are underfunded since at least 2010, when 65% of those responding to an SNA survey said that the government payment was not sufficient to cover the cost of meals. Yet it wasn’t until 2015 that this “ask” for more money became part of SNA’s official position. The truth is, this is really all SNA needs to ask from Congress – just provide a higher per meal reimbursement, enough to cover the real cost of serving healthy meals – and then put all of its lobbying and PR muscle behind making it happen. There is not a single “ask” in SNA’s Position Paper that would not be taken care of by more money. “I’m pleased that the SNA has decided to ask Congress for more funding, given that the HHFKA was underfunded from the start. But I’m also worried that when this request is presented to Congress right alongside a request for nutritional roll-backs, which don’t cost a penny to implement, it’s far more likely that Congress will grant the latter and not the former. Ed Wilkins, who retired in 2013 after many years of running San Francisco Unified School District’s Student Nutrition Services department, has another suggestion. “If SNA is serious about ‘simplifying child nutrition programs and easing the administrative burdens,'” he says, “they should throw their full support behind feeding every child free school meals. ‘Universal Feeding’ would put an end to the meal application, resulting in a paperless program that would end long standing social stigma, save every program countless dollars (dollars that could be used for better food) and most importantly, feed every hungry child. At SNA’s upcoming Legislative Action Conference in Washington, members are asked to “join SNA for the annual ‘Charge to the Hill’ where you’ll serve as lobbyist for a day, as you visit personally with legislators and share your passion, expertise and stories.” As those SNA members arrive on Capitol Hill, our elected officials need to keep in mind whose interests SNA represents. While it would be heartwarming to believe that SNA leaders have the welfare of children as their top priority, that’s not really the purpose of the organization, whose strategic goals don’t mention kids at all. SNA exists to support and speak for the adults who run school meal programs, as well as their school food industry members and sponsors who manufacture the food, but not the kids who eat the meals. And that’s okay, so long as we are all clear on who those SNA members in the “Charge to the Hill” on March 3rd are representing. They are there to lobby for the financial health of their programs, not the nutritional health of kids. When the interests of students (healthiest possible food) run up against the interests of adults (need to balance the budget), somehow it is always the kids who lose. But with increased funding, everyone could win. It remains to be seen whether SNA will push for that, or whether they will “compromise” by throwing the increased funding request under the bus in exchange for Congressional support for rollbacks of better nutrition regulations. As Nelson Mandela said, “The true character of a society is revealed in how it treats its children.” Let’s hope that during SNA’s Charge to the Hill, the interests of our children don’t get trampled.